William A. 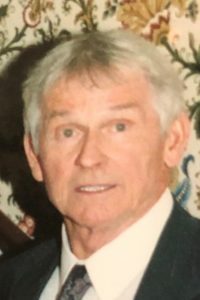 “Bill” Probst | Tri-State Cremation Center, Inc.
William A. “Bill” Probst, age 80 of Shullsburg, Wisconsin, found peace after a long, courageous battle with cancer, on Monday, April 8, 2019. To honor Bill, a Celebration of Life will be held on Saturday, May 4th, 2019, at St Patrick’s Church Hall, 237 East Main Street, Benton, Wisconsin, where friends and family may gather anytime between 2:00 p.m. until 5:00 p.m. Burial will be off the coast of the Pearl Harbor Naval Base at Honolulu, Hawaii, where full military honors will be accorded by the U.S. Navy. The Tri-State Cremation Center is humbly serving Bill’s family. Bill was born on November 26, 1938, in Benton, WI, son of Ambrose and Gertrude (Doyle) Probst. He was a man of diligence, vision and commitment to the task at hand. Following high school graduation from Benton High School, Bill proudly served his country by entering the United States Navy and was stationed in Hawaii. Later, Bill earned a degree from UW-Platteville, and then went on to own and operate Probst Construction for many years, until his health forced him to retire. Bill has left a legacy of countless homes and buildings around the area and he continually strived to create each one better than the last. He was able to design the entire project in his mind from beginning to end, down to the smallest details. Thankfully, Bill also understood the value of resting from our labors. He thoroughly enjoyed the game of golf, watching college basketball, playing cards and strumming tunes on his guitar. Many family gatherings were spent singing songs, with a round of euchre. We would be remis not to acknowledge the love Bill had for his 4-legged canine companions. He spent his entire life with dogs by his side and his current pride and joy, Bailey will miss him immensely. Although Bill was a skillfully sarcastic gentleman from time to time, Bailey allowed him to show his softer side, cuddling up next to him and brightening his world. His love for his daughters and grandchildren was never in doubt. If they weren’t near him, you could be sure to hear him talking about them. Bill was known to have kept anything and everything handmade by his children and grandchildren. He was quiet man who proudly processed life internally, but he spoke openly of his pride for his daughters, and their families. along with numerous nieces, nephews, cousins and friends. Bill was preceded in death by his parents; and 3 brothers, Paul, Dave and Rich. A William A. Probst memorial fund has been established. Bill’s family would like to thank the doctors, nurses and staff at Memorial Hospital, Upland Hospice and the U.W. Madison Hospital & Clinics for all of their professional, sincere and compassionate care of Bill through these most difficult days. Thinking of you Becky and family at this sad time. Prayers sent. We are so sorry for your loss; we have some great memories of Bill. We definitely will be at his service. Though I did not know Bill well, he made a lasting impression of kindness, elegance, generosity and substance. Just an extraordinary human who will be missed! Blessings to his family and friends! Grateful for his time on this earth. Fair winds, following seas and God’s protection, cousin! You’ll be missed.